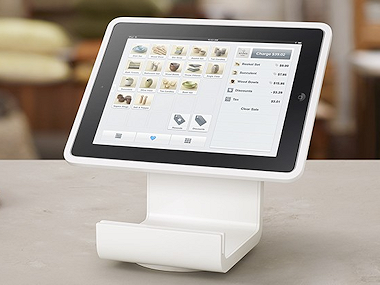 On the surface, Square and Intuit compete in several ways. They both market mobile credit-card readers, and both offer point-of-sale products. But today the two companies are announcing that they are partnering with each other to make it easy for Square customers who use the QuickBooks accounting software to integrate their transaction data from Square Register point-of-sale software and the Square Market e-commerce platform. The two companies aren’t providing many details on how the integration will work, but they say it will be an automated process; today, customers would have to do a manual transfer of data from one piece of software to the other. The new partnership goes live on November 19. What’s not clear is how much current overlap there is between customer bases. 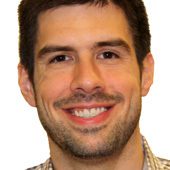 About three-quarters of QuickBooks customers are service-oriented, invoice-based businesses, according to Dan Wernikoff, SVP and GM of Intuit Small Business Financial Solutions — traditionally not the Square target customer set. But that still leaves about a million QuickBooks businesses that are retail-centric businesses, Wernikoff said in an interview. Wernikoff said the partnership is a sign that Intuit is serious about moving toward building an open platform for small-business software makers to plug into. The strategy shift comes now that tech advancements in the small-business market are heating up, and Intuit faces pressures from young upstarts, such as Xero. This is a commercial relationship, meaning money is changing hands between Intuit and Square, but neither side would provide any details on the terms of the deal.